It has stayed relevant through cookbooks and iPads, holds some of the greatest tastes Canadians love, has adorned many a kitchen wall, and it has a killer go-to for mac and cheese. Few calendars have stood the test of time as the Milk Calendar has. First printed in 1974, this year marks the 39th issue (they skipped a few in the ’70s) of the calendar. The number of recipes have increased since that first issue, and it has moved online (where you can also find video guides). The mango and quinoa wraps call for a cup of milk. Knife courtesy of Knifewear, Bank Street. 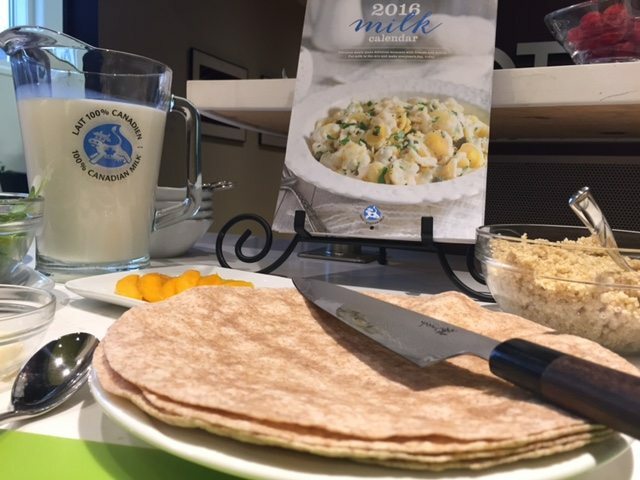 In spite of the calendar’s Internet accessibility, people continue to hold on to the physical pages, along with their memories of recipes from years past. And the calendar’s creators say its content is inspired by everyday moments: meals eaten out, dishes cooked at home, trends, cookbooks, even older Milk Calendar recipes, which are updated for more modern tastes. Heather Trim, chef and recipe creator for the Milk Calendar, was in Mexico with her family and came across someone selling paletas (ice pops) made of fresh fruit and milk. This moment inspired the recipe for July (Tasty Fruit Ice Pops). The recipes continue to be quick, easy, and nutritious. 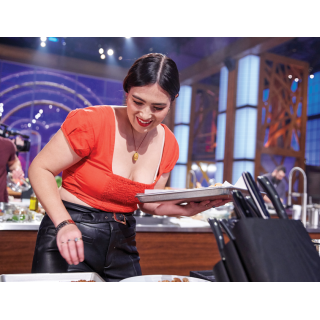 They try everything during testing from high-end kitchen equipment to low-cost. Recipes can be prepared in 45 minutes or less and always include at least one cup of milk. They also strive to meet recommendations from Canada’s Food Guide to Healthy Eating. 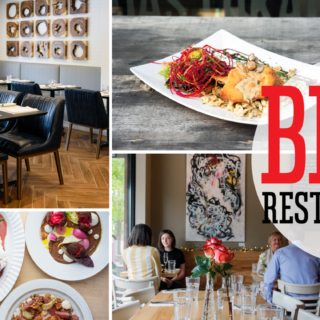 When the Milk Calendar approached OTTAWA magazine to sample new recipes for their 2016 calendar, we wanted to share the experience with our readers, many of whom are devout Milk Calendar fans. 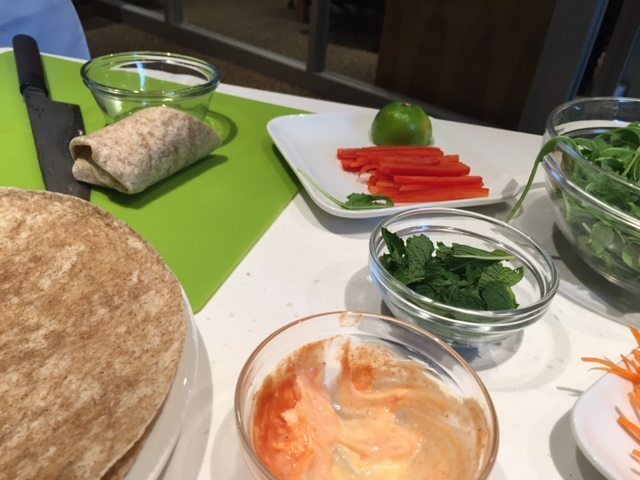 The mango and quinoa wraps feature several fresh ingredients, including mint leaves, coarsely grated carrot, a small red bell pepper, baby arugula leaves, and a small ripe but firm avocado. The magazine assembled Chef Trim, along with Geneviève Fontaine, Manager for Marketing and Nutrition Communications for Dairy Farmers of Canada, and Debbie Morris, food stylist. 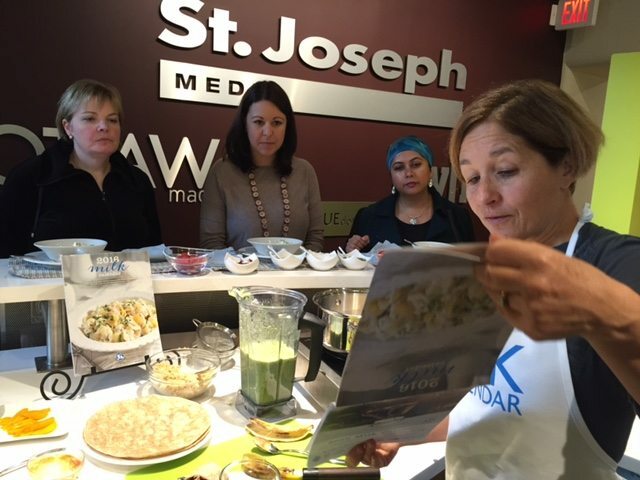 Chef Heather Trim shows off some of the recipes in this year’s milk calendar as our readers, from left, Janet Dempsey, Céline Forgues and Shamima Khan, look on. 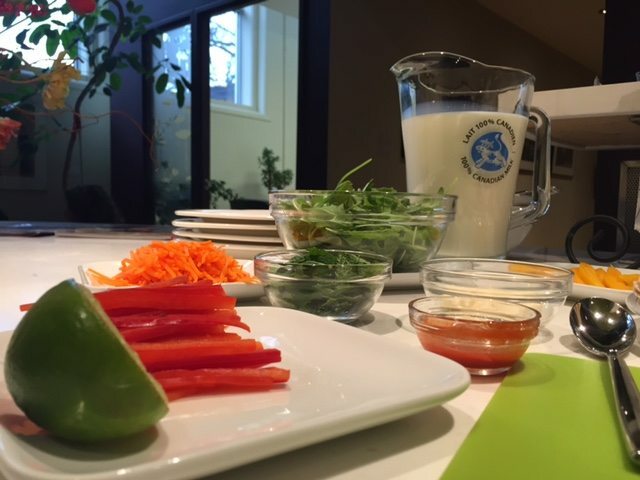 Fresh ingredients ready for Chef Heather Trim. A huge fan of the annual Milk Calendar, Janet was excited to preview 2016. “Woohoo! My all-time favourite, the Farm-Favourite Oatmeal Pancakes — so yummy!” she posted on our Facebook page. Dempsey says she has a sweet tooth, (“It’s the French,”) and has been receiving the Milk Calendar for the last 30 years since moving to Ontario from Quebec. “I’m a tagger.” Rather than tearing out recipes, Dempsey hangs onto her calendars and tags individual recipes. “I think I might still have some old milk calendars from years ago in my boxes. I used to collect them but don’t think I have received any in recent years. Totally love them and did try a couple of recipes although I’m more of an eater rather than the person who cooks now. 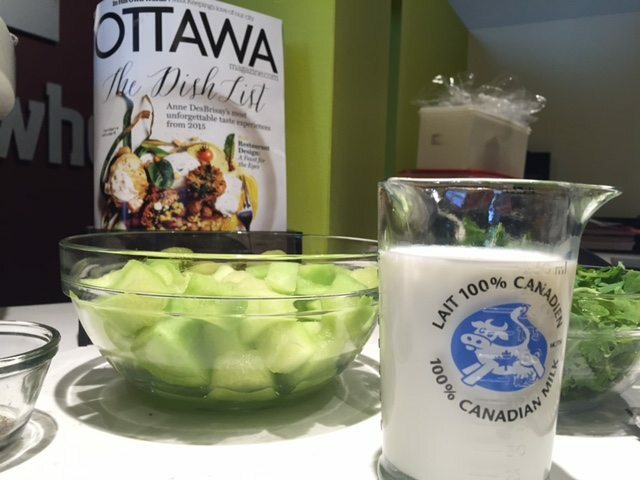 My fave recipe was mac and cheese,” she said on OTTAWA magazine’s Facebook page. The green goodness smoothie bowl is made with three cups of cubed honeydew melon. “My favorite calendar! Can’t go wrong with the mac & cheese! The kids love it. Happy kids, happy mom!” she noted on our Facebook post about the calendar. Milk Calendar recipes, including the ones we sampled today, are available online now.